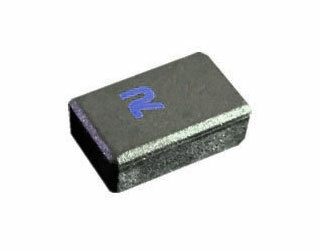 RTEC released two new high temperature UHF RFID tags for metal part tracking. The new models, named SteelCode and SteelMini, have been engineered to provide long read range combined with the capability to survive the rigors of paint shops in automotive manufacturing and other challenging industrial processes. 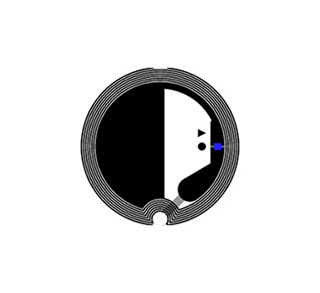 SteelCode measures 38mm x 13mm x 7mm, features 3.4mm holes for screw mounting, offers read range up to 6 meters and can withstand temperature up to 250°C. With dimensions of just 13mm x 8mm x 5.1mm, SteelMini delivers remarkable read range for such small footprint, up to 2.8 meters, and reliable endurance to temperature up to 150°C. Besides resistance to prolonged exposure to very high heat, both these on-metal UHF RFID tags come with IP68 protection and survive exposure to corrosive chemicals. Furthermore, they are suitable also for tracking metal assets that have to repeatedly undergo autoclave sterilization. SteelCode and SteelMini leverages the Alien Technology Higgs-3 chip and are available in different frequency versions specifically tuned to provide the best reading performance. Upon request, the products can be delivered in different colors, pre-encoded, marked with text, numbering and logo. Also ATEX/IECEx certifications is offered upon special request. 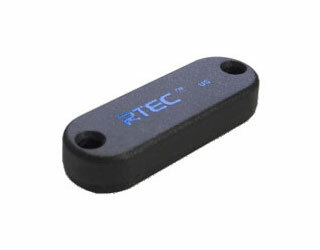 Please contact RTEC for additional details on their high temperature UHF RFID tags for metal part tracking. 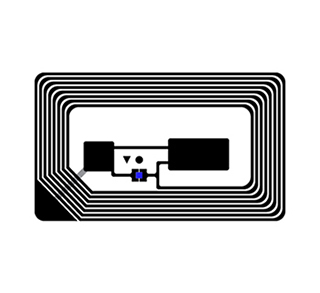 Are you seeking other types of RFID tags? Do try our RFID Tag Search Engine or contact us at info@veryfields.net, also for suggestions on complete RFID solutions. HID Global released the Brick Tag product family, which is made of tiny rugged RFID tags available in different frequencies — LF, HF and UHF — and with various customization options to meet specific customers’ requirements. The UHF models have a ceramic enclosure and are specifically designed to track small metal assets such as work tools, weapons, surgical instruments and other small metal assets. They survive prolonged use in demanding industrial environments, endure exposure to aggressive chemicals and reliably withstand repeated autoclave sterilization processes. 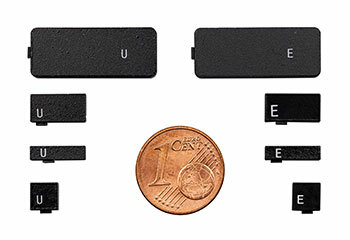 The UHF Brick Tag transponders are available in four sizes: 10mm x 2.5mm x 2.5mm (Brick Tag 60), 5mm x 5mm x 3mm (Brick Tag 75), 10mm x 5mm x 3mm (Brick Tag 150), 23mm x 9mm x 3mm (Brick Tag 600). All the UHF Brick Tag models use the Alien Technology Higgs-3 chip. The standard HF version, which embeds the HID Global Vigo 1K™ chip, is compatible with the ISO 15693 standard and, if NDEF formatted, offers compliance with the NFC Forum Type 5 Tag to be read with any NFC reading device, smartphones included. Working well on both metal and non-metal surfaces, the Brick Tag with Vigo 1K chip is a great choice for hand tools, IT devices, cables and other assets with very limited space to accommodate a tag. As per the LF frequency band, a new product that leverages a HDX chip that works at 134.2 kHz and offers 128 bits of read-only memory has joined a previously released 130 kHz model based on a Nova chip with a 160 bit EEPROM. Interested in these tiny rugged RFID tags? Please contact HID Global. Are you seeking other RFID tag models? Do try our RFID Tag Search Engine or contact us at info@veryfields.net, also for suggestions on complete RFID solutions. Avery Dennison’s AD-721 and AD-740 are two small tags for NFC applications designed to fit restricted surfaces without compromising reading performance and reliability. The number of NFC applications is increasing steadily and just to mention some of them, we can list product and brand authentication, customer awareness enhancement, gamification, connection of physical world to social media, advertisements, NFC-enabling of posters, smart ticketing, smart couponing, virtual shopping, NFC-enabling of business cards, Bluetooth or Wi-Fi pairing. AD-721 and AD-740 are offered by Avery Dennison to cover all the mentioned applications. AD-721 has a round antenna with diameter of 21mm and features the NXP NTAG213 chip that provides full NFC Forum Type 2 Tag compliance, 1152 bits of user programmable memory, 32-bit password protection to prevent unauthorized memory read/write operations and scan operations counter. AD-740 has a 38mm x 22.5mm antenna and comes with NXP MIFARE Ultralight EV1 (MF0UL11) chip, which is ISO 14443 A compliant and offers 384 bits of re-writable user memory, 32 bits of one-time programmable memory, 32-bit password protection and other security features. These tags for NFC applications are available in dry inlay, wet inlay and label format. Please contact Avery Dennison for additional details. Looking for other kinds of RFID tags? 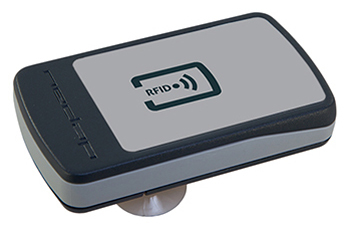 Do try our RFID Tag Search Engine or contact us at info@veryfields.net, also for suggestions on complete RFID solutions.